Stroll to the beach and harbour. Catch crabs. 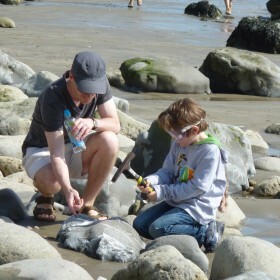 Hunt for fossils. Watch the fishing boats come and go. And head to Hix Oyster Bar for dinner. 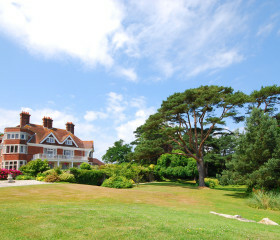 The path takes you down to Cobb Harbour, to golden sands and to coastal walks. 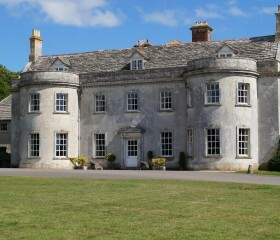 Follow it back again to Springfield House, a sprawling home just beyond the sea spray of Lyme Regis, with one foot in Devon, one in Dorset. 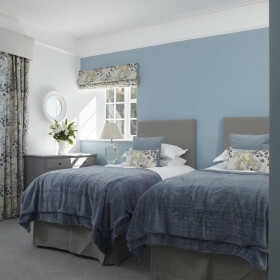 Style and character oozes from the six bedrooms, the conservatory, the snug, the big kitchen and the gardens. 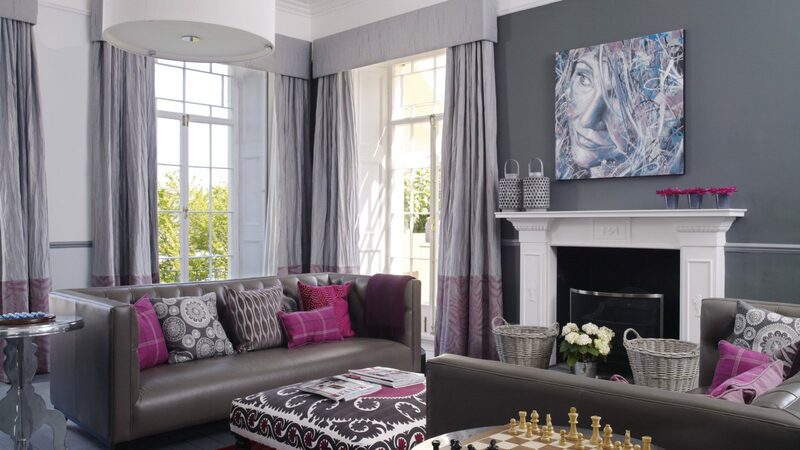 Inside, it’s all restoration and furnishing by a top interior designer. 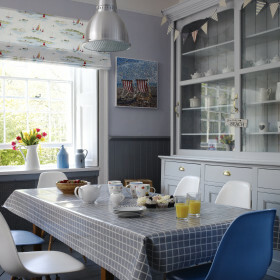 Fling open the French windows, chill in the conservatory, discover your family again in the dining room. 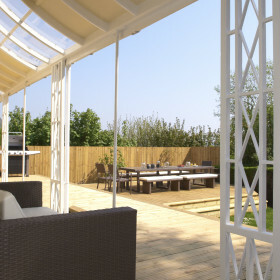 Outside, the garden terrace invites barbecues, beer and wine, while the kids go wild in the grounds and games room. From here, it’s just a stroll to the fossil beaches, the crab-catching, the boat trips and the oyster bars of the Jurassic Coast. 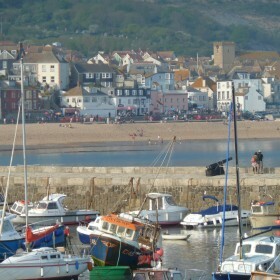 Part of the Jurassic Coast World Heritage site, and surrounded by areas of Outstanding Natural Beauty, Lyme Regis, the “Pearl of Dorset”, is famous for its fossils, its historic old town, its Cobb and its beaches. 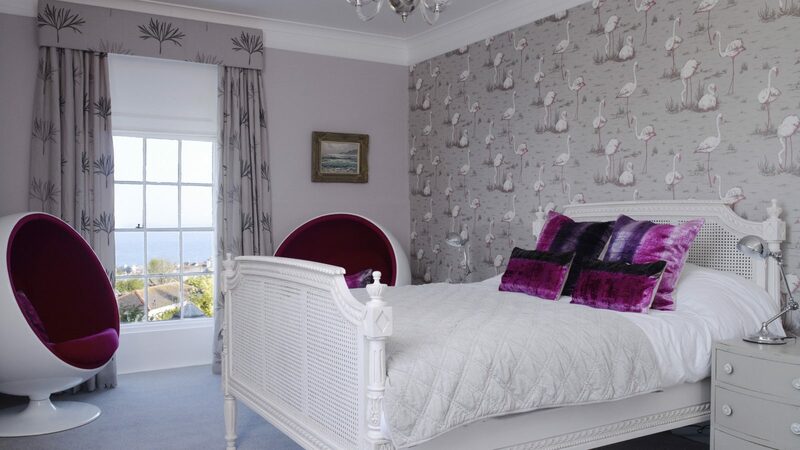 Guests love it…”This house is fantastic, beautiful decor, well located and to die for”. 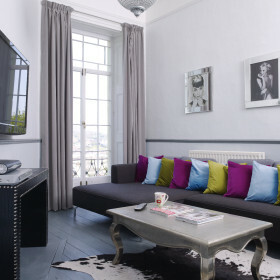 You’ll relax the second you step into Springfield House, greeted by a luxurious chaise longue in the light, airy hall. 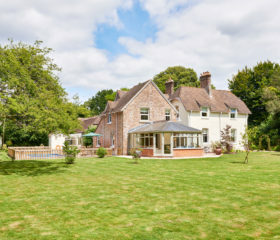 Light streams through the conservatory, opening onto the garden and decking, and the hall opens through into the big, stylish drawing room with adjoining lounge area, the swish dining room, snug with TV and a well equipped kitchen and breakfast area. 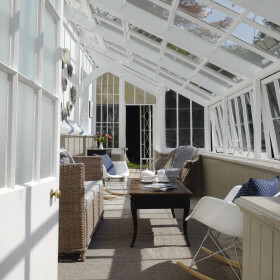 The main reception rooms open out onto the beautiful garden and decking. Drink on the decked viewing area and drink in the beautiful bay. 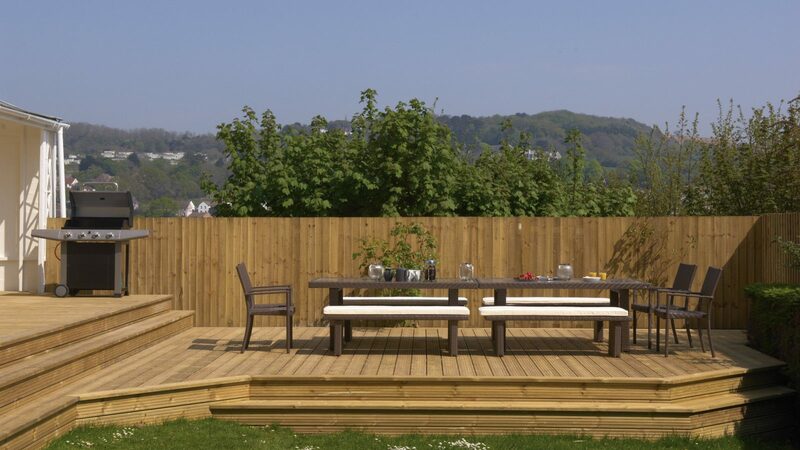 Dine alfresco, chill on the terrace, try gracious living in an English garden. Downstairs there’s a massive games room with table tennis, table football and air hockey – perfect for the young and young at heart. We want you to enjoy every moment of your stay at Springfield House so whatever your desire for food and drink, we can help. 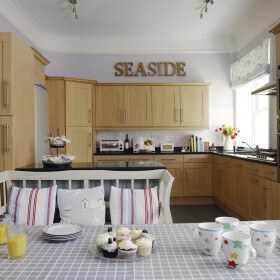 If you love cooking then help yourselves to the bright, well equipped kitchen. Dine together in the light filled dining room or out on the terrace. Alternatively, if you’d like a little or a lot of help then we offer everything from casseroles dropped off ready for the oven to waitress-served in-house catering. 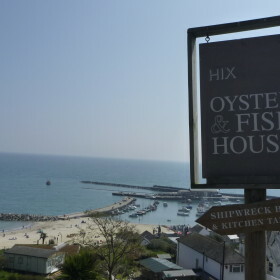 Or sample fine cuisine at Hix Oyster Bar, a short walk away. Looking for a special meal without any fuss? Our highly rated chefs will prepare a celebratory meal to order, all cooked and cleared out of the way. Once the plates are cleared, they’ll leave you to enjoy the rest of the evening. 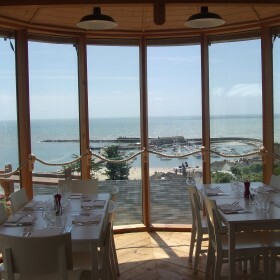 Highly recommended by our guests is Lyme Bay Field Kitchen, who can provide anything from a three course meal to a BBQ. 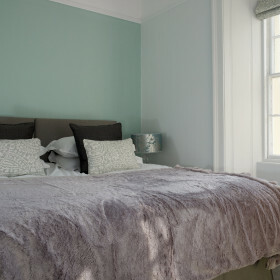 Springfield house has six spacious, ultra-stylish bedrooms. 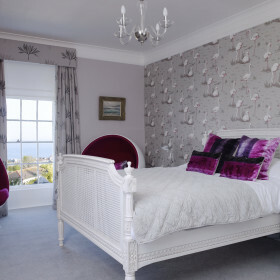 The master bedroom is a big, double aspect room with views across to the sea, a kingsize bed and a massive ensuite bathroom. 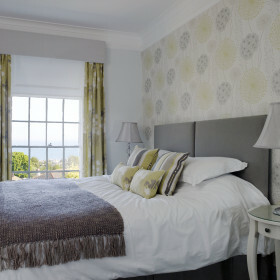 There are two further ensuite bedrooms which can be made up as kingsize or twins, and a family room with a kingsize (or twin) bed and bunk bed – all three rooms with sea views. 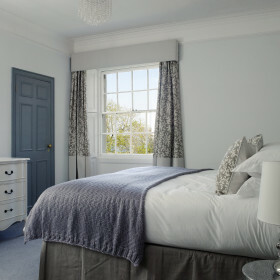 There are two further kingsize or twin rooms sharing the family bathroom, with woodland views. Where the hedgerows end, the timeless beaches of the Jurassic Coast begin. 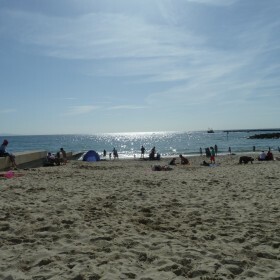 Swim and sunbathe; potter the Coastal Path. Sink an oyster or six at Hix as the fishing smacks chug in and out.